How about Malaysia? 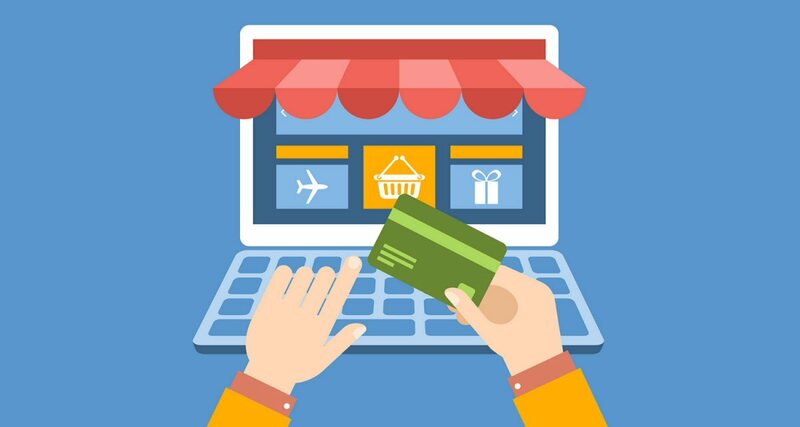 1 to 2% e-commerce penetration is widely reported in recent years. Are we still lingering at this level, or have we progressed? Let's investigate! If you are new to the definition of "e-commerce penetration", it is a percentage of online transaction volume calculated against the total retail sales. This is a general index of the e-commerce maturity in a particular country. Just to give you an idea, matured e-commerce markets like Korea, United States, China are all having more than 8% e-commerce penetration rate. What is the e-commerce market size in Malaysia? Yes, this is the first thing to find out. 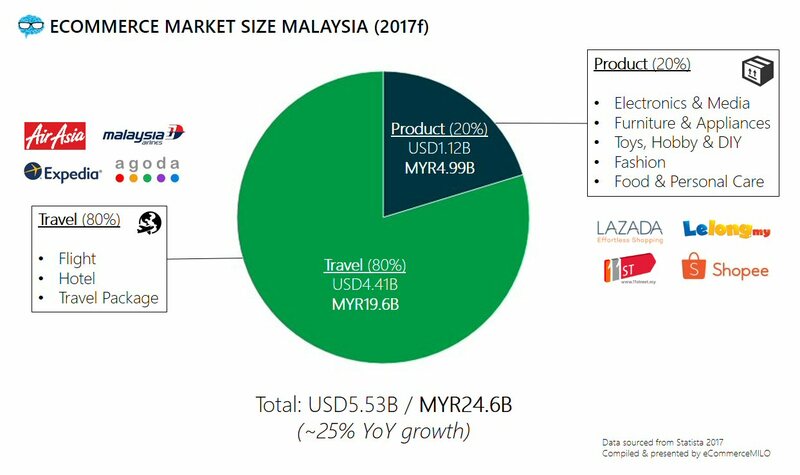 We have reported almost 2 years ago that it was more than RM7 billion e-commerce market size in 2015, with ~30% of the pie contributed by physical products. What about 2017? We have checked a couple of data sets and references, which are not too far off from each other. We then decided to extract data from Statista (here, and here) and indications by iPay88 to perform our analysis. Jeng Jeng Jeng 4, it is safe to forecast a total e-commerce market size of USD5.53 billion or RM24.6 billion in Malaysia for 2017. Multiple sources including Statista have also forecasted a YoY growth of 20 to 25% in these few years, the growth rate will then slow down when we reach a certain level of market maturity. By referring to the chart we compiled above, it is not a surprise to see a big chunk of online transactions goes to Travel, which includes flight tickets, hotel bookings and travel packages. Travel alone is expected to take up USD4.41 billion or RM19.6 billion worth of online transactions in 2017, which is a huge 80% of the total pie. The balance of the pie goes to physical products like electronics & media, furniture & appliances, toys, hobby & DIY, fashion, food & personal care. Products-only online sales volume shall total to USD1.12 billion or RM4.99 billion in 2017, a 20% share of total e-commerce market size in Malaysia. It wouldn't be a stretch to conclude that majority of online sales (products) are being transacted via these top online shopping sites in Malaysia. So, is e-commerce penetration at 5% now? The next question to ask is, what is the total retail sales in Malaysia? Again, we check and refer multiple sources (for example here, and here) and it was RM99.6 billion in 2016. With the expected slow annual growth rate less than 10%, it is fair to forecast total retail sales of slightly more than RM100 billion in 2017. Even without a clear indication of data categorization, retail sales transaction volume above is mainly physical products and perhaps inclusive of food & beverages too. Hence, if we divide RM4.99 billion (products-only online sales) against RM100 billion, we can now estimate 5% of e-commerce penetration in Malaysia, as of 2017. What do you think? Feel free to leave a comment below!